Is Your Professional Label Damaging Your Career? 28 Jan Is Your Professional Label Damaging Your Career? Labels are a vital part of our lives and our brains love to categorise things and put them into metaphorical boxes in our head. It’s how we make sense of our world. When something doesn’t have a label, then things can get confusing and we have to try and figure out what exactly we are dealing with. In the hustle and bustle of our hectic lives, there are many instances when we simply don’t have the time to figure out what something is when it doesn’t have a label and so it just ends up in the ‘too hard basket’ and we move along. When something has a label, we now know what it is, which makes it easier for us to figure out what it does and how we can use it. This in turns helps us determine its value. Without a label, we are often prevented from unlocking something’s true benefit. The label is the key! Labels are also a vital part of our Personal Brand and so one of the key aspects of having a strong brand, is deciding what we are going to call ourselves, in other words, our Professional Label. When I worked in recruitment, I interviewed many people who really struggled to articulate what it was they actually were. They simply didn’t have an idea of what their professional label was, which meant that I had to guess. If I couldn’t figure out what to classify or label them as, I wouldn’t know where or how to help land a new role. This meant they ended up missing out on amazing career opportunities, all because they failed to properly label themselves. 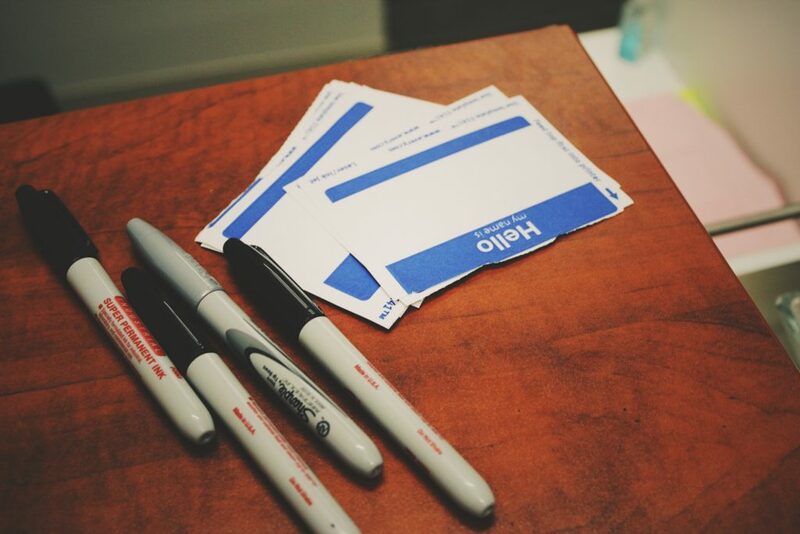 So where should we start when it comes to figuring out what our professional label should be? You are NOT you job and you are NOT the company you work for. Don’t define your Personal Brand by these. Your brand needs to be bigger than your job. It needs to reach beyond your organisation and extend into your wider industry and domain. You see, when you change jobs, you don’t take your job title with you but you do take your brand because your brand is quintessentially YOU. The Jack-of-all-Trades is a really hard person to classify because the label means so much and then yet again… nothing at all. It is shrouded in mystery and vagueness which makes it hard for other people to get their head around them. As a Personal Branding Consultant, I have worked with so many people who initially identified themselves as being a Generalist/Jack-of-all-Trades under the belief that positioning themselves in such a way will actually increase their career opportunities because they will be able to cover more bases. However, through the process of deconstructing them to determine their professional identity, we discovered a range of specific professional labels that were far more relevant than a Jack-of-all-Trades, they just didn’t realise it. By repositioning them with a much more accurate professional label, they actually ended up attracting greater career opportunities. Make it easy for someone to relate to your professional label. Remember, if they have to try and figure out what you mean, then you are in danger of losing control of your brand. A label that is too ‘creative’ and out there, loses impact. You want to find the right balance of simplicity but also uniqueness. Test out a few labels with your friends, family and work colleagues and see what their feedback is. Be specific about what you are, you don’t want to leave it open so other people have to use their imagination. Digital Marketer with extensive experience in growing business by effectively connecting them to their target audience using a range of digital solutions. Senior Digital Product Management Consultant, specialising in User Experience and Human Interaction design. Senior Management Professional with extensive experience in Business and Financial Management. Technical Project Manager and the bridge between the business, client and technical teams. Highly experienced Human Resources Consultant with expertise in workforce planning and leadership coaching. Phew! OK, we are at the end now. Remember, having a strong, yet simple professional label makes it a lot easier for people to relate to you and understand exactly what you are. When your label is vague, you put yourself into a position where other people have to try and guess what you are, and this means you could potentially miss out on a lot of career opportunities. So, to better control your Personal Brand, label yourself before someone else mislabels you.